Excessive heat warnings have been issued in Phoenix as summer comes to full swing and temperatures reach scorching highs. It’s important to understand the risks of being exposed to extreme heat for long periods of time. Heat stroke and heat exhaustion are just a couple of dangers that result from unsafe heat exposure. Many Valley residents are required to work outside, which puts some employees at risk of heat stress, which can result in occupational illnesses and injuries including heat stroke, heat exhaustion, heat cramps, or heat rashes. Prevention of heat stress is important for employers to be cognizant of, and companies like Cox Communications are at the forefront of making employee safety a top priority, going out of their way to provide field technicians who are outside all day visiting homes, businesses and working on our network, with extra water, towels and other heat prevention aids. Cox also provides its field technicians with summer uniforms consisting of short sleeves, shorts and wide brimmed hats. The techs work summer hours in July and August with decreased service calls during the hottest hours of the day between 3 and 5 p.m. There is no service done in attics after 10 a.m. and employees have the option to begin their workday at 7 a.m.
Cox Communications is the third largest cable provider and a multi-service broadband communications company in the country, serving nearly 3 million residential and business product subscribers in Arizona (a product subscriber represents an individual service purchased by a customer). In metro Phoenix, Cox serves approximately 2.5 million product subscribers. In Southern Arizona, Cox serves approximately 400,000 product subscribers. Cox’s 24,000-mile hybrid fiber coaxial cable network throughout Phoenix and Southern Arizona provides homes and businesses with digital television, high speed Internet, home networking, high-definition television and digital telephone service over its own nationwide IP network. Cox is the third largest private for-profit employer in Arizona. 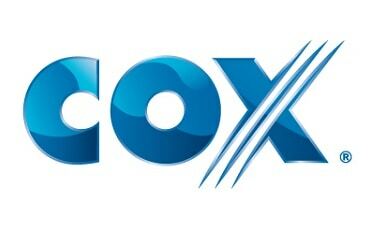 During the past ten years, Cox has topped numerous J.D. Power and Associates’ studies of customer satisfaction, most recently receiving top honors for residential telephone & high speed Internet, and business data services and has received PC Magazine’s “people’s choice” award for the seventh time. Additionally, Cox High Speed Internet has been ranked #1 for the past nine years on the “Ranking Arizona-Best of Arizona Business” list. Cox Media is responsible for the sale of cable advertising throughout Arizona. Cox Communications is a wholly owned subsidiary of Cox Enterprises and serves approximately 6 million customers nationwide. Additional information about Cox in Arizona is available at www.cox.com/arizona.